VPS is an acronym for Virtual Private Server which is a virtualized server. It mimics a dedicated server which exists within a shared hosting environment. Technically speaking, VPS hosting is both dedicated and shared hosting. This is one of the several hosting options that you can select from when you want your website hosted. The technology behind VPS hosting is similar to that that is behind virtual Box. This technology allows you to run numerous virtualized operating systems using a single machine. For instance, if your computer uses Windows 7, it allows you to run it using other operating systems such as Linux or Windows XP. You can do all these without necessarily restarting your computer. In other words, VPS allows you to store all your content and files for your site on a web space that has already been configured to look and feel like a dedicated server. As the name suggests, the whole aspect of VPS Hosting is virtual. With the help of technology, one powerful server is divided into several virtual servers. However, even though the physical server might be shared, each server within it has privacy. The virtual server that you will be using is reserved only for your website. Simply put, your site will not share the RAM or CPU or any data in that case. VPS Hosting comes with the affordability of shared hosting while at the same time you enjoy more control and power just like using s dedicated server. Control – if you want to install server applications that require you to restart your computer, you can install them any time without having to restart your system. Even if technically you share a server with other VPS users, you can restart your VPS server without affecting others on the same server. Privacy – with VPS Hosting, you do not share your OS with any other server. This way, there is no any other website on the same server that can be able to access your content or files. Dedicated resources – when you are using a VPS server, you get a certain dedicated amount of RAM that is made available to you at any time. Unlike the shared hosting, nobody else on the VPS server will be able to use your RAM when you need it. Customization – with VPS hosting, you will be assigned your own OS. This gives you the freedom to use all the server applications such as MySQL, PHP and Apache. If you want any of these applications customized to suit your needs, it is possible to do by making changes to your server. Speed – if you add more content to your site, its speed will reduce. This is true more especially to sites that use database intensive operations. If your site is slow, it time to upgrade to VPS Hosting. Also, if your site is getting more traffic, VPS Hosting is better at handling more traffic as compares to shared hosting. Security – if you are using a hosting server that is prone to attacks, it is good to use VPS Hosting. This is because VPS Hosting is more secure as compare to its shared hosting counterpart. Unmanaged VPS – this is a kind of VPS Hosting where the hosting provider performs the following two functions. One is ensuring that your VPS is up and running. Two is ensuring you are connected to the internet. These functions require minimum technical experience for you as a user to perform. Managed VPS – in this type of hosting, you sit back and relax and let your host know what you would like them to do for you. They will ensure that your site is well protected. In short, you do not handle any function specific tasks. Your host is responsible for managing everything for you and if you experience any technical problem, they will solve it for you. VPN – this is a private network which you can use to keep your website secure and private. It is similar to VPS in every aspect but you can use the VPN to connect to a VPS server and then manage it remotely. The VPN will help you to keep your connection untraceable and private. You can sign in to your VPS without anyone noticing that you have signed in. Some VPN comes with a fixed IP address. This is more advantageous because it makes all ISPS to use dynamic IPs for their clients. If you decide to use a VPN with a fixed IP address, it allows you to whitelist your IP address so that you can manage your VPS hence giving you more security. As you already might be aware, shared hosting is ideal for basic websites. However, as your site needs increases and traffic you’re your web increases as well, you will need a better hosting environment. A VPS Hosting environment usually has more control and customization. Therefore, if you want to enjoy more control on your website as compared to a shared hosting plan, then VPS Hosting is ideal for you. Moreover, VPS Hosting is less heavy as compared to its dedicated hosting counterpart. It also serves as a bridge between shared and dedicated hosting. Since you are going to pay for dedicated resources for your website, it is easy to get a VPS hosting as compared to a shared hosting. Data center location – You should know where the company that you want to use has their data center. This is paramount because the distance of the data center from your site affects the uptime. Also, you should consider the bandwidth they provide. Server management software – It is crucial to know the kind of software they are using. For instance, you need to know whether their software comes with a pre-installed graphical software. Bonus plans – you need to know the kind of bonuses they offer. For example, do they offer automated backups? Server resources – server resources such as processors, bandwidth and memory are crucial in web hosting. Server management support – you should find out how much support you will be getting from the hosting company to set up your website. Currently, there are several VPS Hosting providers on the internet. Selecting the best company can be an uphill task. Customer support – when it comes to web hosting, customer support is a make or break factor. It is paramount that the VPS Host that you choose provides some kind of all day and everyday customer support. Their support can be through email, live chats or ticketing. But it is crucial to have a reliable customer care in case of anything. Cost – when looking for a host, it is important that you consider your site hosting needs. The cost of hosting might not be key but it is very important. Availability of VPS resources is scalable hence you need to consider the cost of hosting for different companies. Uptime – it is crucial to consider your host’s uptime. In a shared hosting environment, the uptime is usually laxer as compared to a VPS Hosting environment. Since you are paying more than shared hosting, it is paramount for a minimum uptime guarantee. Look for a host that offers 99.9% uptime. You can search for reviews and find s host with the best uptime. 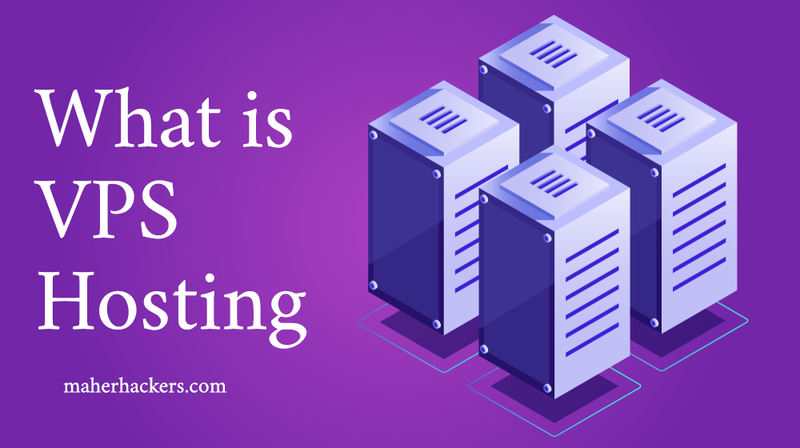 Some people might get confused because there are different types of hosting. Some of the hosting plans include shared, dedicated and VPS. We are now going to take a closer look at each plan and compare them to help you understand them better. Shared hosting can be likened to staying in a single room many people. This means you all fit in the same room and then share all the costs. That means things will be cheap and affordable. However, when many people are living in the same room, it means you are living within a restricted space with restricted resources to share. The same applies to shared hosting. There are some business owners who prefer shared hosting because it is affordable and easy to manage. The hosting company will maintain the server. When you use a shared host, you do not get resources dedicated to you because your web runs on the same OS as others on the server. Under such circumstances, the computing power and RAM that your web uses is affected by the needs of other users on the same server. It is your host who takes care of every aspect of the shared hosting environment. Some of the drawbacks of shared hosting is hogging and overloading of the website. This is likely to affect the performance of other websites that you are sharing the server with. Under the dedicated hosting plan, you rent the entire physical server for your website use. If your web generates a high traffic, this is the ideal package for you. A dedicated server is fully customizable, flexible and really fast. However, for you to enjoy these services, it comes at a price. Therefore, it is not ideal for starters. While VPS Hosting gives you an opportunity to configure your OS and server applications, a dedicated server is one step ahead. Besides configuring the software, you can also configure the hardware because you own the entire server. A dedicated server also allows you to run it on-site e.g. in your office. However, this might lead to losing professional hosting. A dedicated server can be likened to living in a private house. You have all the freedom to move whenever you wish but you will have to pay the bills and the mortgage at the end of the month. Unfortunately, this is the most expensive hosting plan. In addition to that, it needs technical know-how for you to manage it. It is ideal for businesses with special scenarios, tight security needs and high traffic. With cloud hosting, you do not use one specific server rather it is a cluster that runs it in the cloud. Every server in the cluster stores a copy of up-to-date content and files of your site. If one of the servers has peak traffic, the cluster automatically directs the traffic to a less busy server. Due to this, cloud hosting does not have downtime because there is always a server in the cluster that is not busy that can serve the needs of your users. VPS and Cloud hosting are not exclusive to each other. Many companies that have both VPS and cloud hosting have their VPS hosting on the cloud infrastructure. When both are found on the same server, they offer the best performance and reliability in the VPS hosting environment. 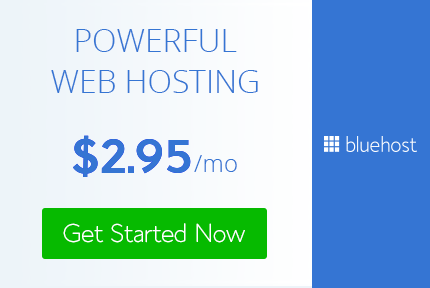 This is a hosting that is offered specifically to sites that offer WordPress. WordPress hosting comes with numerous WordPress related features which you can only use on WordPress website. Some of these features include one-click installation, WP command line interface and pre-installed plugins. WordPress hosting is mostly offered as a part of shared hosting. However, it is also possible to set up a WordPress web on a VPS. But, you cannot be able to access most of the customized servers that are meant for WordPress. The good news is that if you decide to use VPS to host your WordPress, it is possible to configure and set up your hosting environment that will meet the needs of your business. VPS Hosting can be explained using an apartment analogy. In one apartment, there are many people that have rented, but each has a separate space to himself. In this apartment, you have sufficient space and fewer restrictions as compared to living in the same room many people. It also means that if your neighbor has a problem in his house, it will not affect you. And the owner will take care of the problem, not you. In a similar way, in VPS hosting, there are many users that use a common server but they are isolated or separated from each other. This simply means that you not be affected by the resources that the other user is using. You will get all the uptime and security that your site needs without compromising the other users in the same server. It is a good deal because you enjoy the benefits of a private server but at a shared cost. You will get technical support from their staff to help you solve any of the complex issues that might arise. It has more privacy because all your content and files are locked from access by other server users. It is easy to scale. As your website grows, it is very easy to upgrade your server resources to meet your site needs. You will receive root or superuser access to the server. Cost – this is one of the biggest challenges. It is more costly as compared to shared hosting. Therefore, if your site is not very profitable at the moment, consider another hosting option. It requires more work and know-how for you to use it. Small market – the current market for VPS Hosting is small therefore there are chances that you will not get the correct server resources that you need. Peak traffic – depending on the hosting company you are using, some companies experience traffic. When there is a lot of traffic, the server becomes slow. Therefore, it is necessary for you to do a lot of research before settling on a company. If the server is not properly configured, it can lead to the security vulnerability. VPS Hosting is an excellent hosting solution for both medium and high traffic websites, eCommerce and heavy resource websites as well. In addition to that, those businesses that are expecting a rapid growth will also benefit from VPS Hosting’s stability. Therefore, if you are looking for a business scale, reliable and secure hosting environment, it is worth to consider using VPS Hosting for your site. There are several VPS hosting providers but we would like to recommend SiteGround, Bluehost and InMotion VPS hosting providers. These companies are reliable and fast. Previous Post: A2 Hosting VS SiteGround: There’s a Clear Winner!